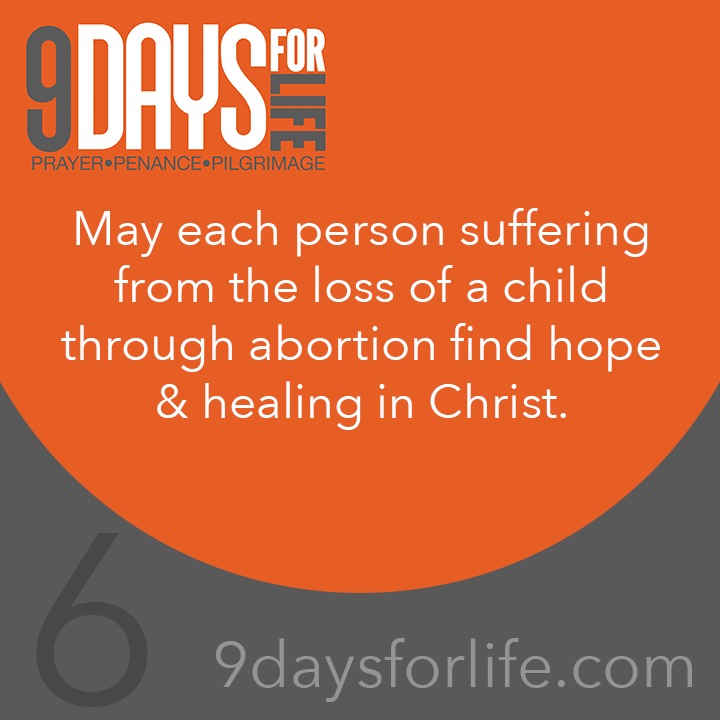 Intercession: May each person suffering from the loss of a child through abortion find hope & healing in Christ. “In the Sacrament of Penance and Reconciliation, also called confession, we meet the Lord, who wants to grant forgiveness and the grace to live a renewed life in him. … We bishops and priests are eager to help you if you experience difficulty, hesitation, or uncertainty about approaching the Lord in this sacrament. If you have not received this healing sacrament in a long time, we are ready to welcome you” ("God’s Gift of Forgiveness": www.bit.ly/GiftOfForgiveness). Let us run into the arms of Jesus, who is love and mercy. Today, go visit an adoration chapel and spend some time with Jesus. Go to Confession—today, if possible—or during this week. Before you go, look up St. Faustina and learn a little about the message of Divine Mercy she shared during her life. Pray the Divine Mercy Chaplet for those who are suffering the loss of a child through abortion, asking that they find healing and peace.